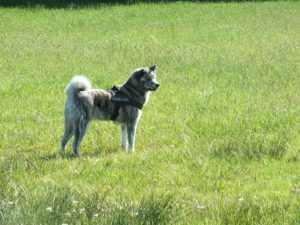 Miki came to live with us after we desided to go into breeding. 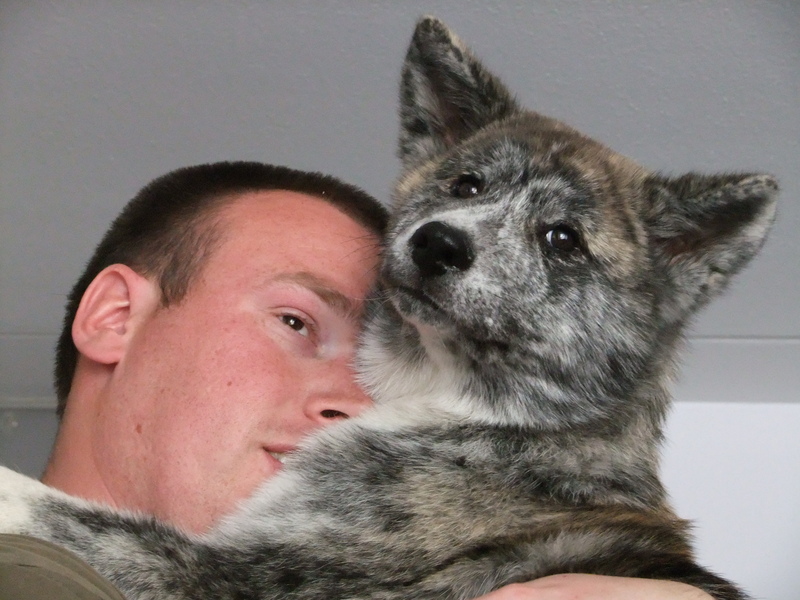 She is our first owned female. 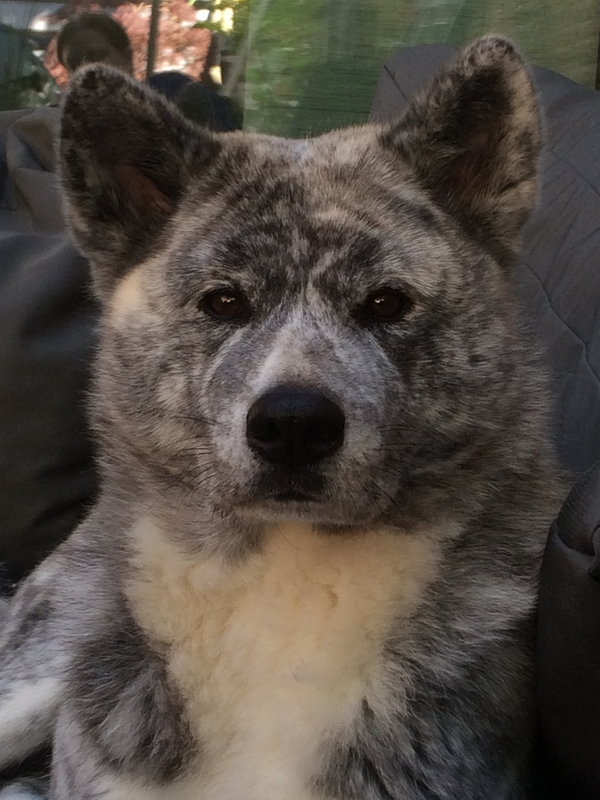 Miki was born in the south of France. 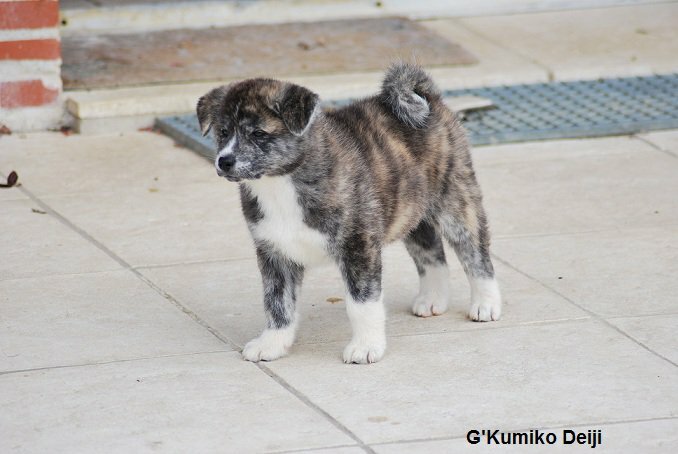 Her breeder Sarah Brodart (of L’Empire des Samouraïs) trusted us with her and we are so gratefull she did. 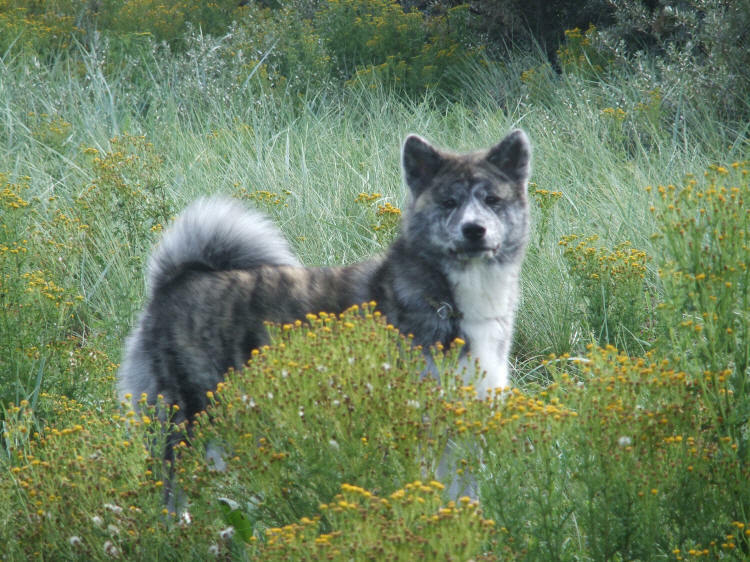 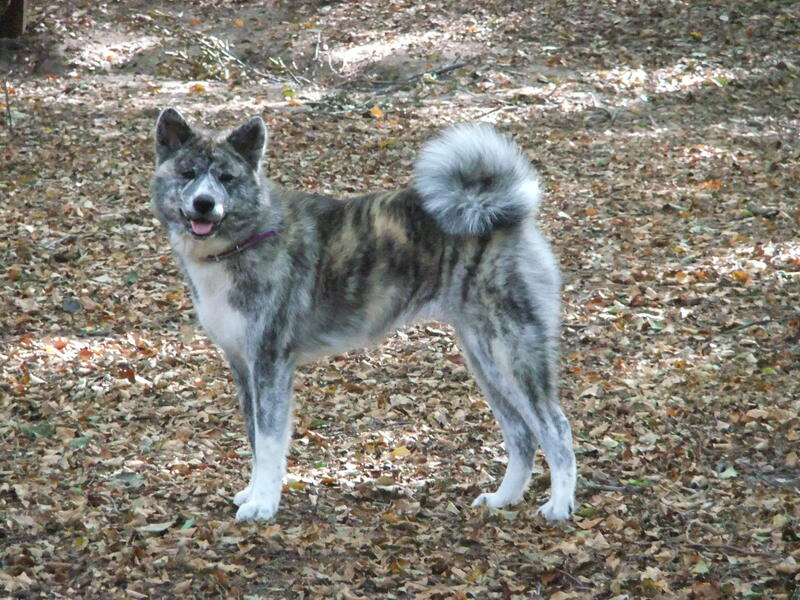 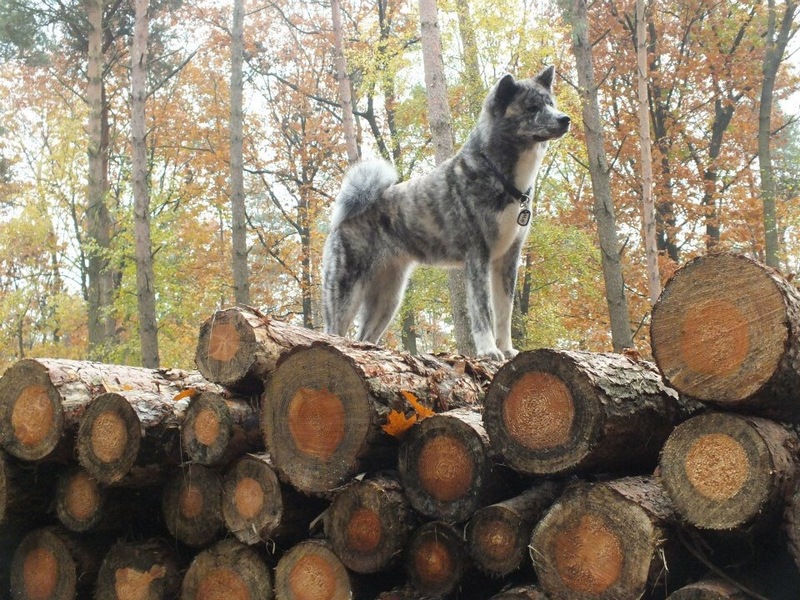 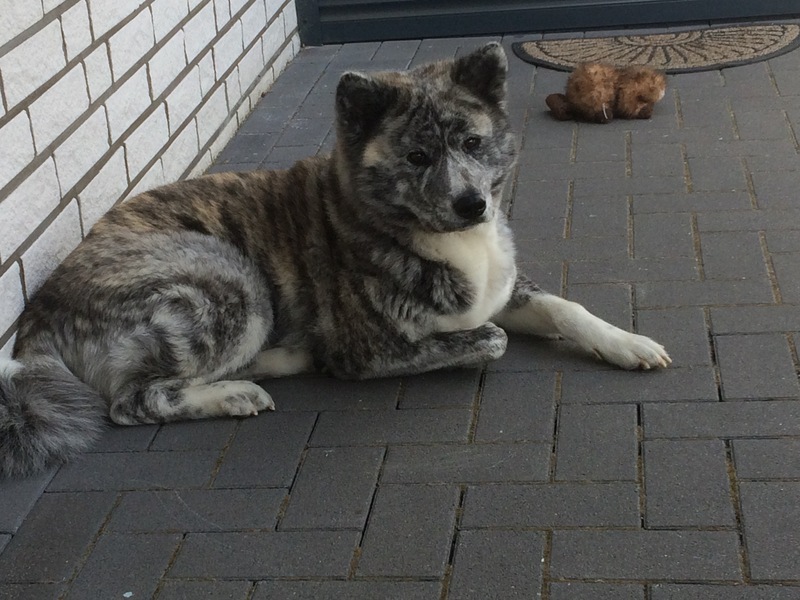 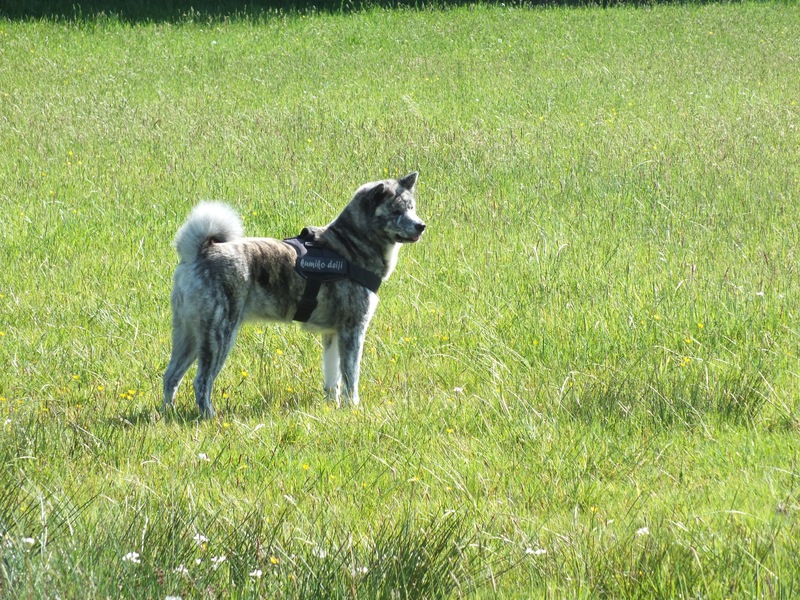 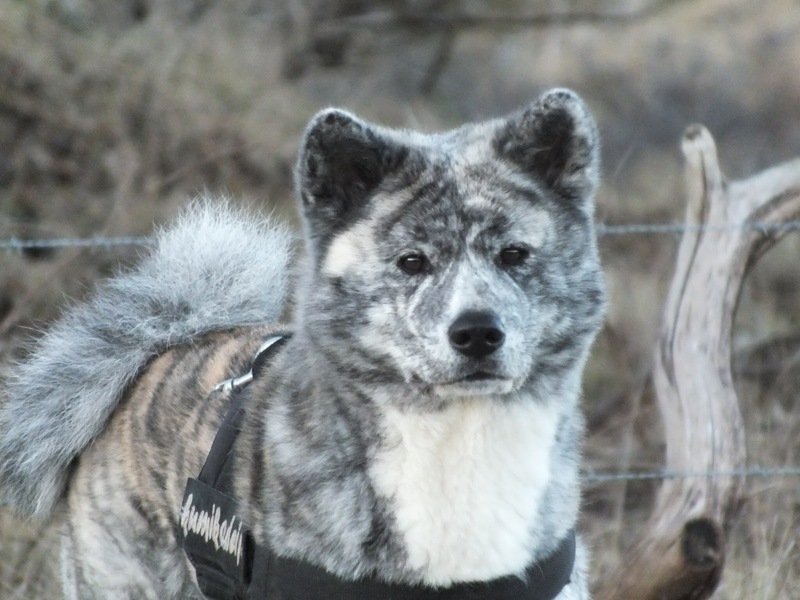 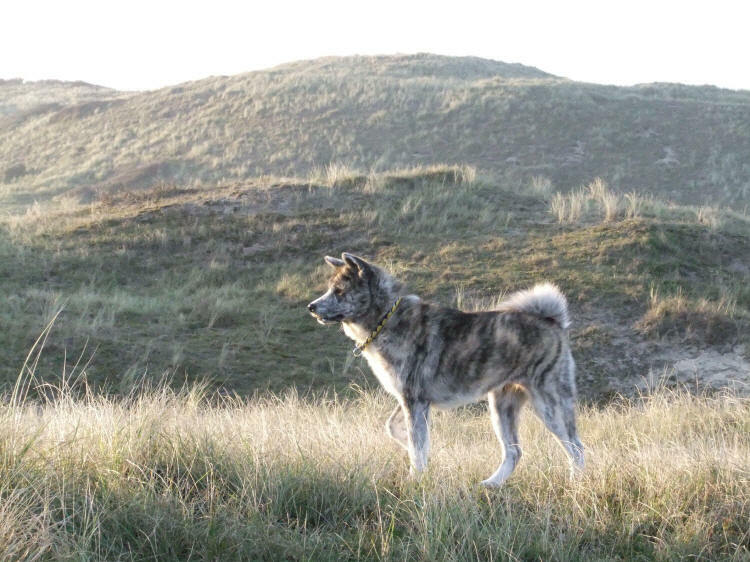 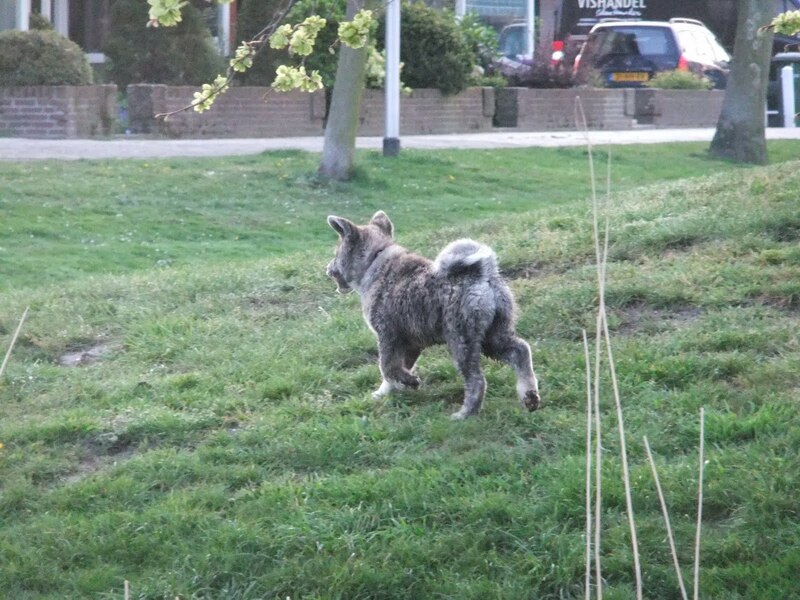 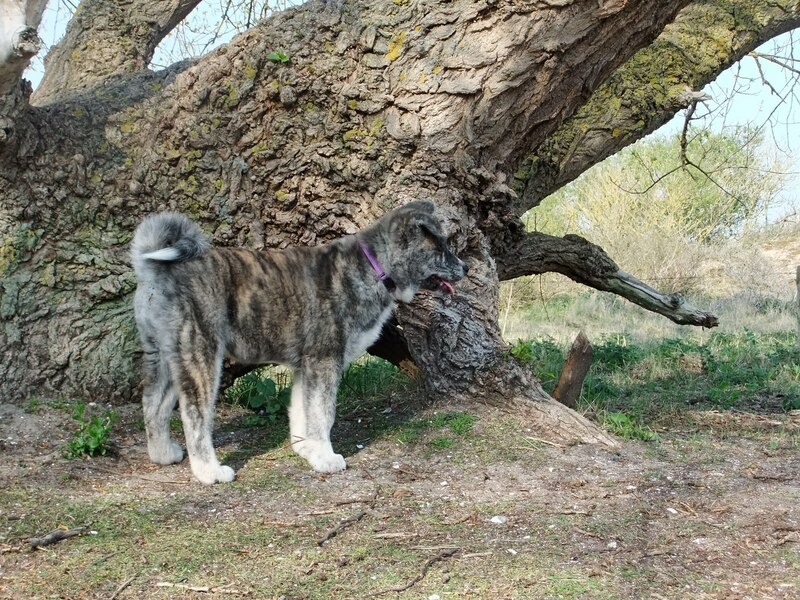 Miki is a brindle Akita, an underestimated color in the breed. 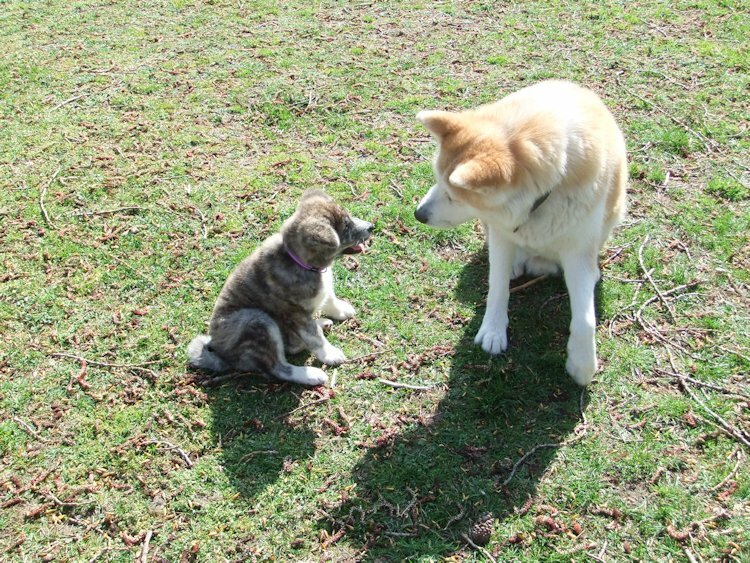 Eventhough it was the last color we had in mind, when we saw Miki it was love at first sight. 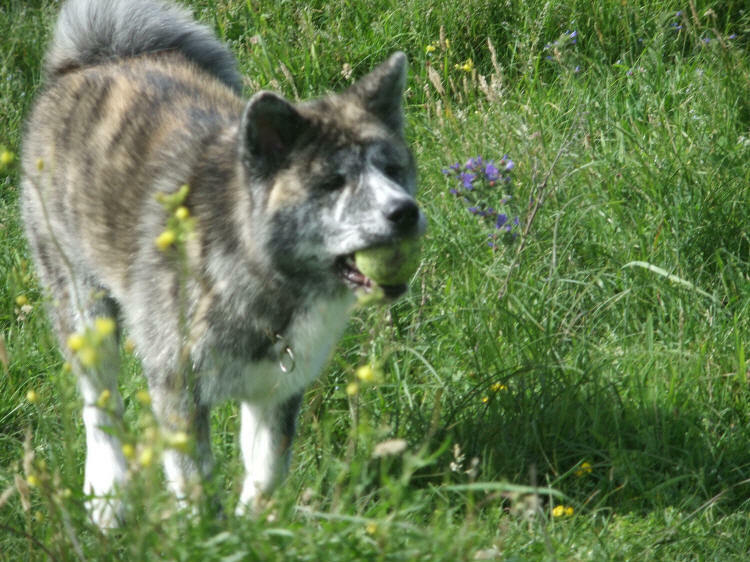 The funny thing about Miki is that she is the only one in our pack that retrieves balls, not typical Akita behaviour. 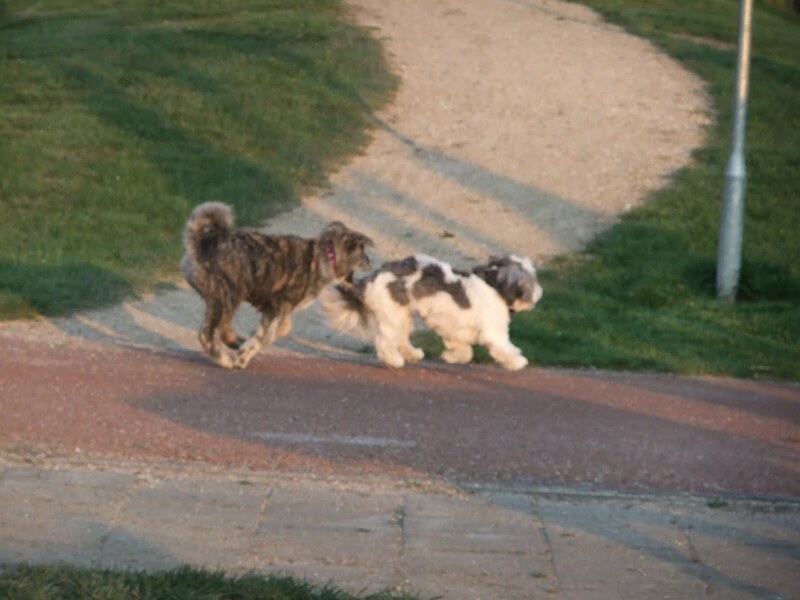 Patella: Grade 1, on the right due to an accident when she was a puppy. 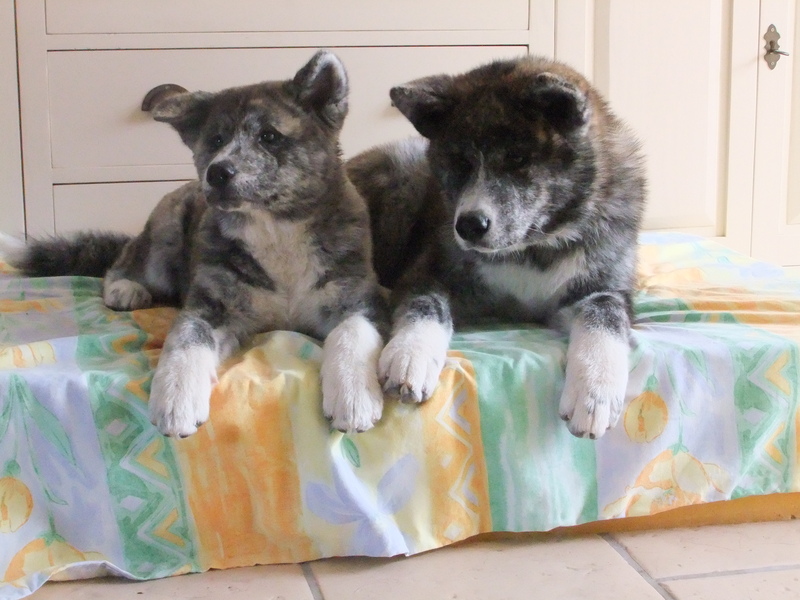 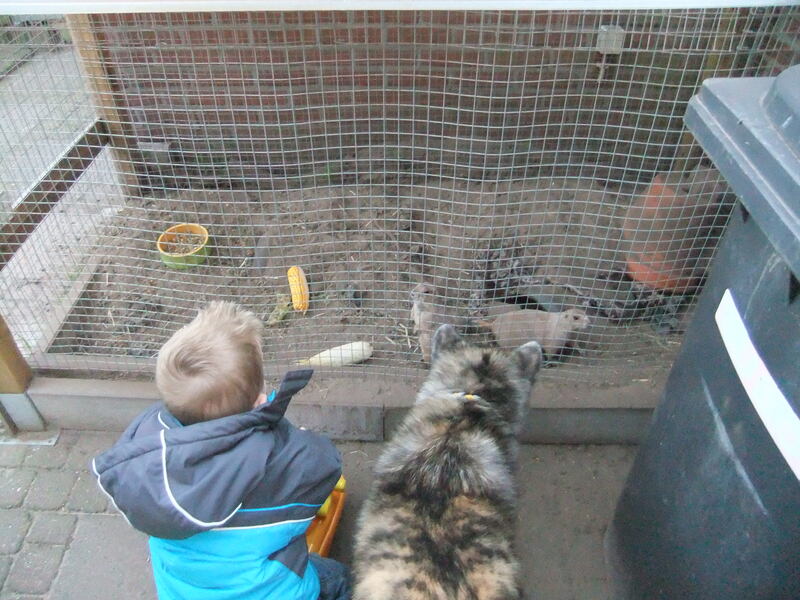 Sadly we have to announce that due to a pyometra Miki had in the year 2014, we desided not to breed her anymore.